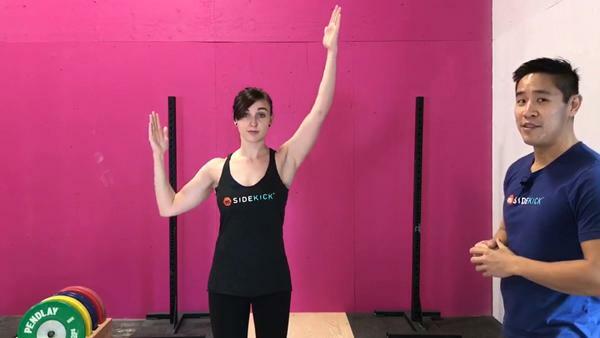 It starts out as an occasional twinge when you raise your arm overhead or to the side. Then, one day you find yourself squirming to put on a jacket to avoid irritating your “bad” arm. Further along, the intermittent discomfort is now a constant dull ache. Over-the-counter pain remedies cease to work and you are losing sleep because it is too painful to lie on the affected side. As common as they are debilitating, many rotator cuff injuries often start off slowly and ramp up over time. The following exercises can help you in the early stages to prevent the pain and loss of mobility rotator cuff injuries bring. There are two parts to relieving the shoulder pain. Part 1: Release the tension in the larger muscle groups around the shoulder. Part 2: Strengthen the rotator cuff muscles. Doing this will put your shoulder joint into a better position and prevent injuries in the future. The first video starts off with part 1, which is relieving the muscle tension. You shouldn’t stop there however. Strengthening the muscles will prevent further injuries, which is what videos 2-4 are about. Gua Sha is a technique whereby a tool is used to scrape the surface of your skin. This releases the fascia that is wrapped tightly around your muscles, allowing your muscles to relax and providing it with the freedom to move. This technique can be done by yourself on the neck, deltoid and lats, but having a partner will help get into the areas around the shoulder blade. Lie face down with your arms alongside your body. Have your partner apply a lubricant over the muscles of your shoulder blade. Starting at the inner edge of the shoulder blade, apply slow, scraping movements to the shoulder blade muscles, moving from the inner edge of the shoulder blade diagonally toward the shoulder joint. Move in one direction, lifting the tool off the shoulder near the shoulder joint and placing it down on the inner edge of the shoulder blade for each stroke. Apply light pressure at first, gradually increasing to tolerance level. Sensation can be pleasant to mildly uncomfortable. Stop if painful. Strengthens rotator cuff muscles and helps realign the shoulder joint. Can be performed standing or seated on a straight-back chair without armrests. Turn your palms up and bring your arms to your sides in line with your body. Keep a slight bend in your elbows at all time during this exercise. Have your wrists in a loose, neutral position. Pull your shoulders down and gently squeeze your shoulder blades together on your back. While keeping your shoulders pulled down slowly draw your elbows toward your waist. Hold this position, actively squeezing your upper arms toward your sides, for a count of 5. Slowly press your arms away from you to each side until they are parallel to the floor. Repeat 6-8 times in each direction. Note: When your rotator cuff muscles become fatigued your shoulders and arms will begin to round forward. If this happens stop, rest and resume when you can perform the exercise with proper form. Strengthens upper back and shoulder muscles, improves posture, reduces nerve impingement, and improves oxygen supply and blood flow. With your palms turned up slowly raise one arm to the front then up toward the ceiling, behind and down. Do the same with the opposite arm. Continue, alternating your arms in large, slow backstroke motions. Note: Keep a slight bend in your elbows throughout this exercise. Breathe in as you bring your arm to the front and up toward the ceiling and exhale as you bring your arm around to the back and down. Stretches rotator cuff, strengthens back and shoulder muscles, and promotes healthy posture. Can be performed sitting or standing. Raise your arms out to each side with elbows bent to form an “H” position. Slowly reach one arm up toward the ceiling. Reverse, bringing that arm down and, at the same time begin to reach the other arm up. Reverse and continue for 20-30 seconds. Perform the exercise with your palms turned backwards. Increase the range of motion by bringing your elbows down to your waist.